Daniel + Zoe: A Field Of Lavender and a Beautiful Wedding Day! There is a hidden gem in Woodinville, a field of abundant lavender that is hidden from the eye off the the Woodinville Redmond road. Called Woodinville Lavender, this beautiful venue has fields of gorgeous lavender and a few weeks ago, at the peak of the season, Daniel and Zoe chose to be married, surrounded by such color and goodness! 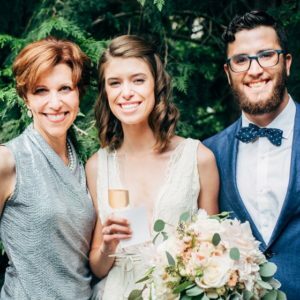 I was touched that Daniel and Zoe co-created with me, a ceremony that celebrated their relationship in such a poignant and deeply touch way ~ and one that also honored family and friends. This was extra special for me because even though Daniel and Zoe are young (and fabulous! ), they desired a personal ceremony that celebrated their shared vision and anticipation for their years together….nothing ‘blah, blah, blah’ here. Comments Off on Daniel + Zoe: A Field Of Lavender and a Beautiful Wedding Day!